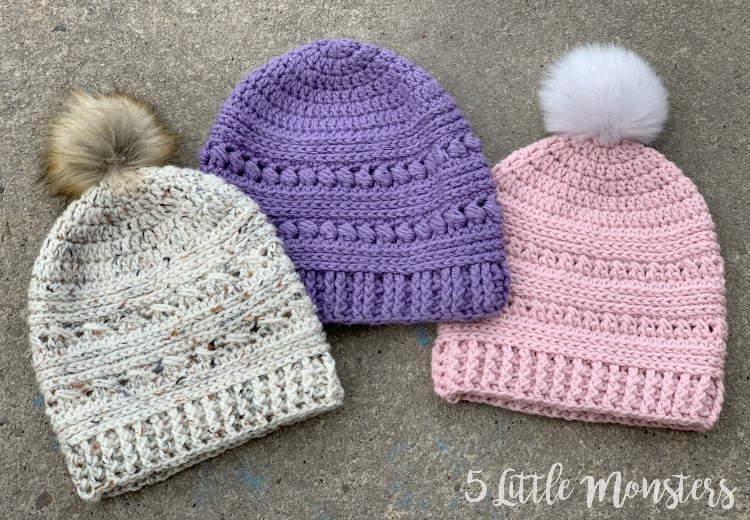 Each of the hat patterns features alternating rows of half double crochet in the third loop and another stitch. 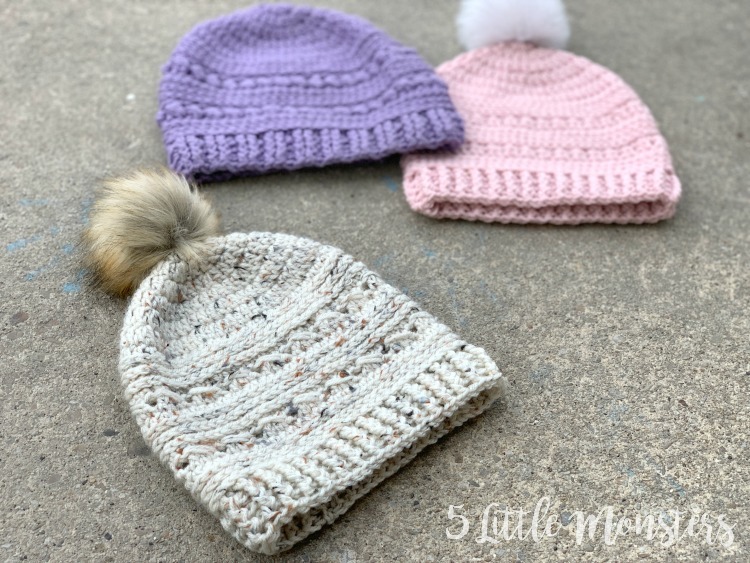 The original pattern (purple hat) used the bead stitch, the hat I shared last week (pink hat) uses crossed double crochet stitches, and today's pattern (tan hat) uses the cable stitch or 3 double crochet crossover. 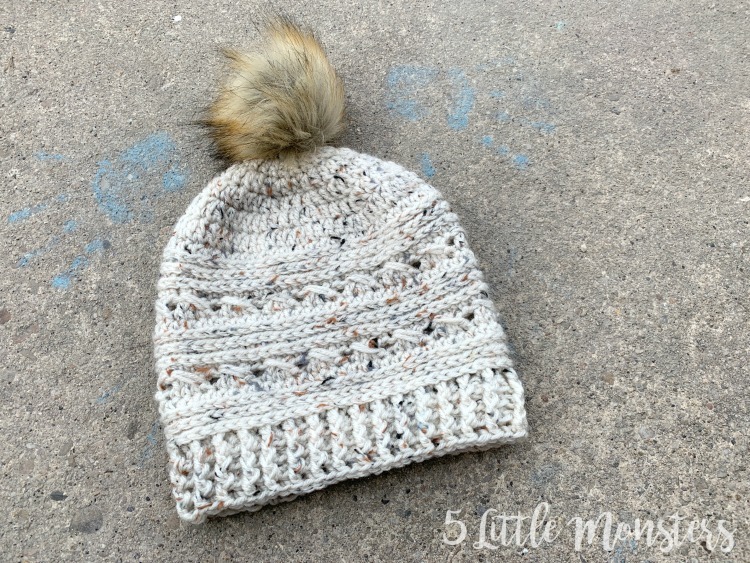 All of them feature a post stitch ribbing along the bottom and optional faux fur pom pom on the top. 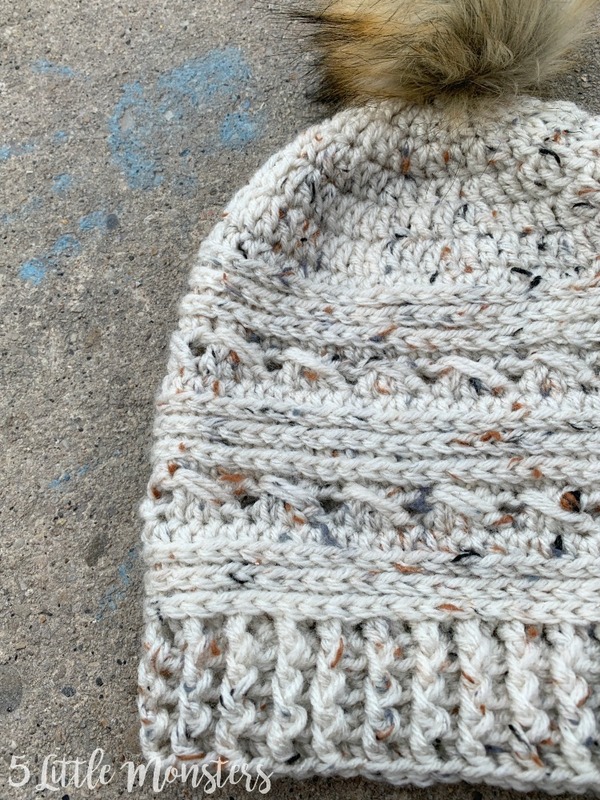 This stitch is made by skipping one stitch, then working three double crochet stitches. 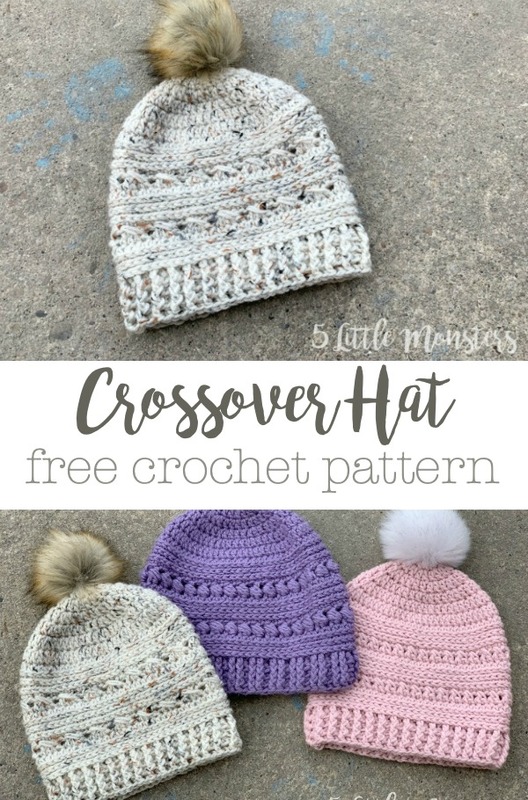 Instead of working the 4th double crochet in the next stitch you crossover the first three double crochet stitches and work in the skipped stitch, hence the alternate name 3 double crochet crossover. If you do several rows of this stitch it gives a cable type effect which is where the other name comes from, I learned it as the cable stitch. These hats are made to be a little on the long side. I like to have a little bit of slouchiness on my hats. 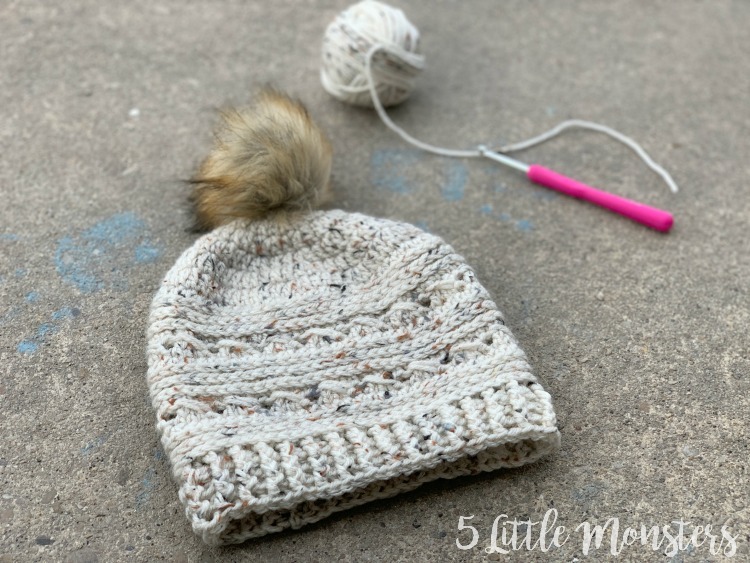 I used Red Heart Super Saver on this one but any similar weight yarn will work, I have used JoAnn Big Twist Value Yarn, and All Things You Essential Acrylic.